Prune arborvitaes, junipers, yews and hemlocks. Plant gardenias in shady locations. Take cuttings for rooting of deciduous and broadleaf evergreen shrubs. Continue planting gladioli bulbs each week through mid-month to obtain a succession of blooms. Cut and dry mint, thyme and other mature herbs to enjoy through the winter. The best time to harvest most herbs is just before flowering, when the leaves contain the maximum essential oils. Cut herbs early in the morning on a sunny day. Plant bulbs such as dahlias, tuberoses and cannas by mid-month. Fertilize camellias and other broadleaf evergreens. Clean up spring bulbs once the foliage has completely died back. Cut back bearded iris and divide. Remove seed pods on any repeat blooming daylily varieties to continue getting blooms for the remainder of the summer. 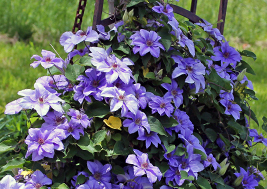 Divide spring and early summer flowering perennials after the blooms fade. Instead of severing the clump, try jiggling the roots apart with two sharp, spading forks. It’s more time-consuming, but will cause less damage. Chives, parsley, mints, marjoram, oregano, dill, fennel, borage and the like can all be sown out. Cilantro, fennel, dill, and of course basil—plant lots of varieties of basil and experiment with pesto— who doesn’t love pesto! Cover fruit trees and vines with plastic netting to protect ripening fruit from the birds. Salad Greens—lettuce, warm-weather New Zealand spinach, mustards, arugula, etc. can all be sown. Plan on harvesting young arugula and mustards because the bolt rapidly in warm weather. Cucumbers—if you are running out of space, try trellising. Cucumbers are easy to grow vertically and you get much straighter cukes. Onions—green onions and overwintering leeks can be sown. Chives and garlic chives can be started in an out-of-the-way place for a harvest next year. Best results in loose open soil. Cover your carrot and parsnip seedlings with row cover to prevent the carrot root. A last crop of potatoes can be put in at the beginning of this month if you sow short-season varieties like Yukon Gold. Mid-to-late June your main sowing of carrots can go in, along with parsnips (last chance on these) beets, rutabaga and turnips—can be sown through July but yield and harvest size will be smaller. Brassicas—Broccoli, cabbage, cauliflower, brussels sprouts, collards and kale and Asian greens like pac choi and Chinese cabbage, etc. can all be direct sown now but you must think about days to maturity. Fast maturing brassicas (many of the Asians) that would come mature in the heat of August aren’t the best choice because they prefer cool weather and will not have the best flavor. Plant a long-maturing variety to plan harvest in September. 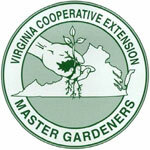 Watch for harmful insects and disease problems in flowerbeds or the vegetable garden. Plan a different crop in that particular area next year if a problem occurs. Check Virginia Tech’s entomology department if you aren’t sure if the insects are good guys or bad guys? http://www.insectid.ento.vt.edu/ and learn how to encourage beneficial insects to stay. Set up a sundial and at exactly 12:00 Noon on June 15th, set your sundial for 12:00 to get the most accurate time reading throughout the summer. If you miss this date, put these on your calendar: APR 15, SEPT 1 and DEC 24. Learn more at http://www.accuratesundials.com/site/591582/page/140934. Set up a birdbath—remember to change the water regularly since standing water may become a breeding ground for mosquito larvae.